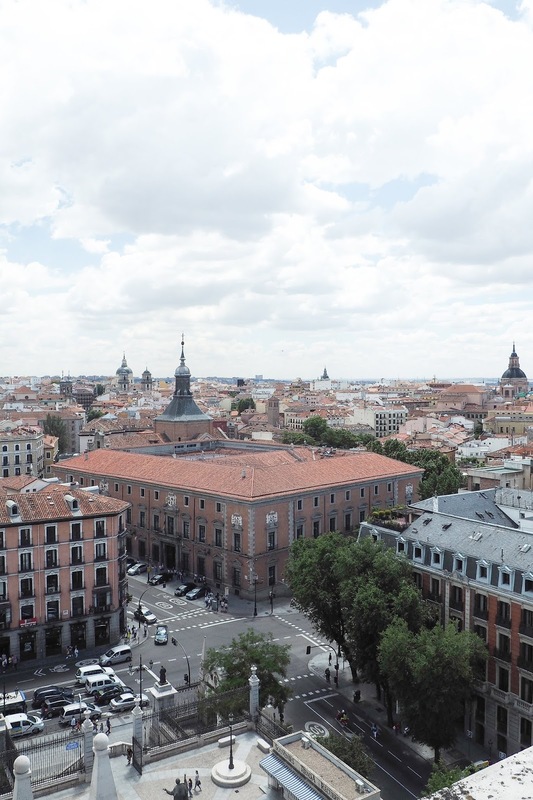 It's no secret that I bloody love a city break and my recent adventure involved me and my best friend Jess jetting off to the beautiful city of Madrid in June. 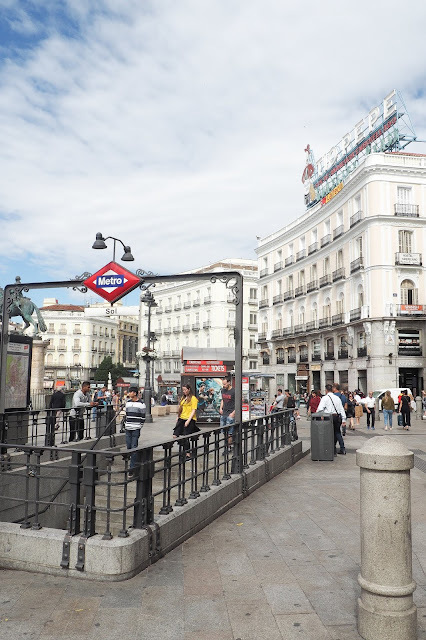 Admittedly, Madrid wasn't somewhere that was at the top of my travel bucket list and when we were booking, the decision on the destination came about mainly because of the price. Four nights in a 3* hotel with direct flights from Manchester for under £200? Just take my money already! On a side note, I think city breaks have a reputation of being ridiculously expensive and sometimes, they can be. That's why it's so important to shop around. We put in a lot of different dates, airports and destinations to work out the best deal and when you put your mind to it, they can actually be very affordable! When we got there, I instantly fell in love with the busy streets, the beautiful architecture and the amazing culture and it's a place that should be higher on any city lover's bucket list. 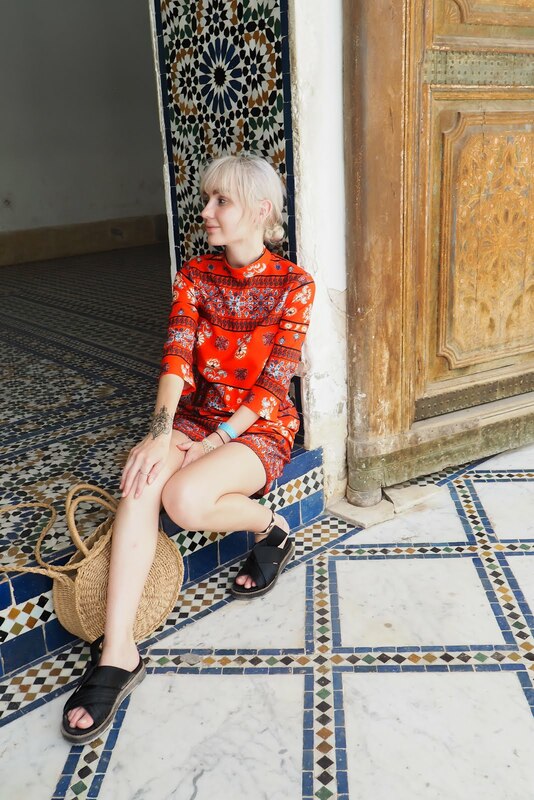 Spanish cities are just absolutely bloody gorgeous and Madrid is no exception so here are my reasons why you should think about making it your next city break. Obviously I'll start with one of the most important parts of a city break. The food. I honestly cannot describe in words I know how amazing the food was in Madrid. 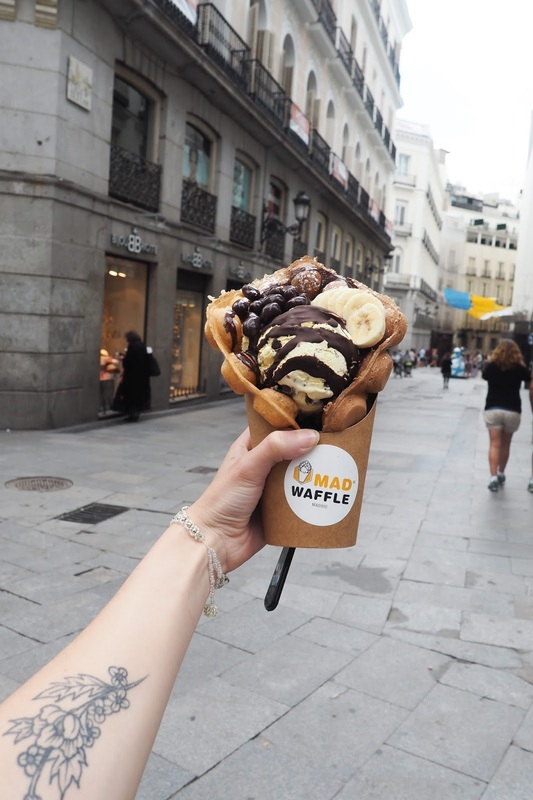 The streets were absolutely lined with amazing tapas bars and restaurants, Instagrammable desserts that actually tasted as good as they looked and the best part? It was all super affordable, even in the restaurants that were more expensive. 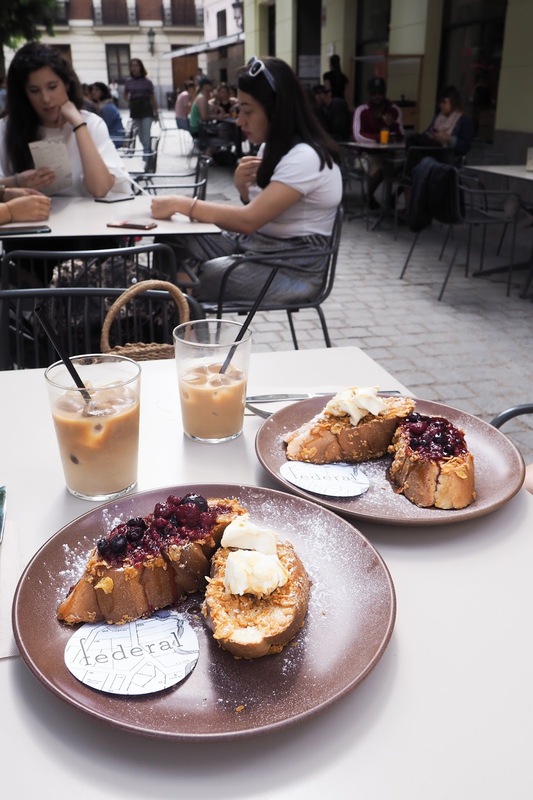 Starting with breakfast, there were a number of places that we tried out but my favourite had to be FEDERAL CAFE, which is where we ate the divine French toast you can see in the first photo. It's a very modern and reminded me a lot of the breakfast places that you'll find in London, slightly different to what I was expecting from cafes in Madrid but I could have eaten there every morning without complaint. Jess and I both went for the same (as we always do!) - French toast with mascarpone, cornflakes and berry compote teamed with a classic iced coffee. Gotta get that caffeine fix before exploring right?! Anyway it was absolutely divine as you can probably tell by the photo and I would have loved nothing more than to be able to try everything on their menu (they had some pancakes on there that sounded laaavley!). It's really central and I'd definitely recommend it for breakfast or brunch. When it came to evening meals, when I say it was tapas and sangria every night, I mean it was tapas and sangria every night. You could eat at a different tapas bar every night for a year and not even scratch the surface of what Madrid has to offer. Our favourite one had to be LATERAL, a tapas bar that was just across the street from our hotel. They have a number of these dotted around the city and for good reason! 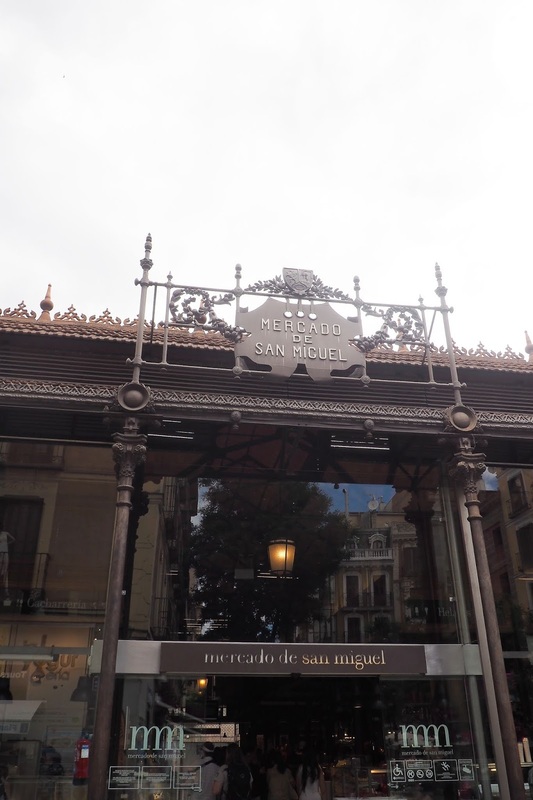 The menu is huge with tapas ranging from classic patatas bravas to cheeses and meats and fish and all kinds of wonderful creations. I'd recommend the Brie and Sirloin and the Barbecue Spare Rib with Yam - we went back twice and I loved these so much that I ordered them both times. They also do absolutely banging cocktails - get the Fruta de la Pasion mojito! 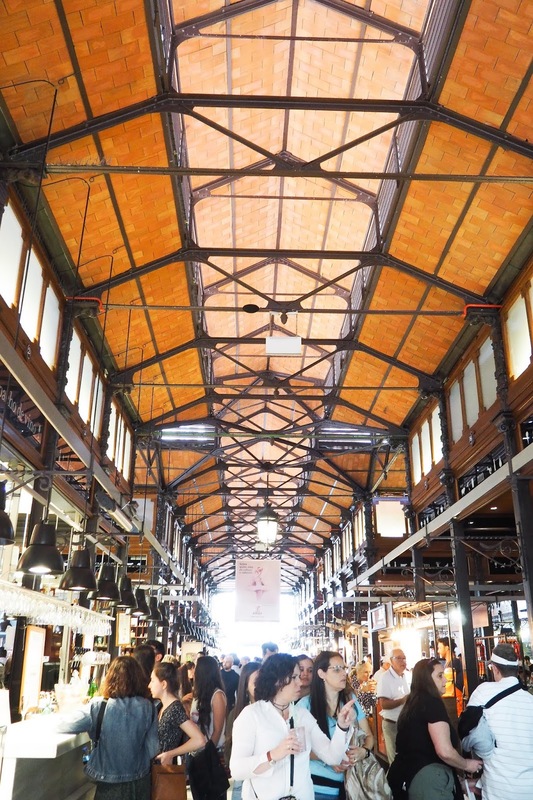 You've also got the SAN MIGUEL FOOD MARKET which you cannot miss. We accidentally stumbled across this right at lunch time one day and it was like falling into food heaven. You can buy little plates and small portions of cheeses, olives, paella, seafood, meats and every other variation of food you can think of. 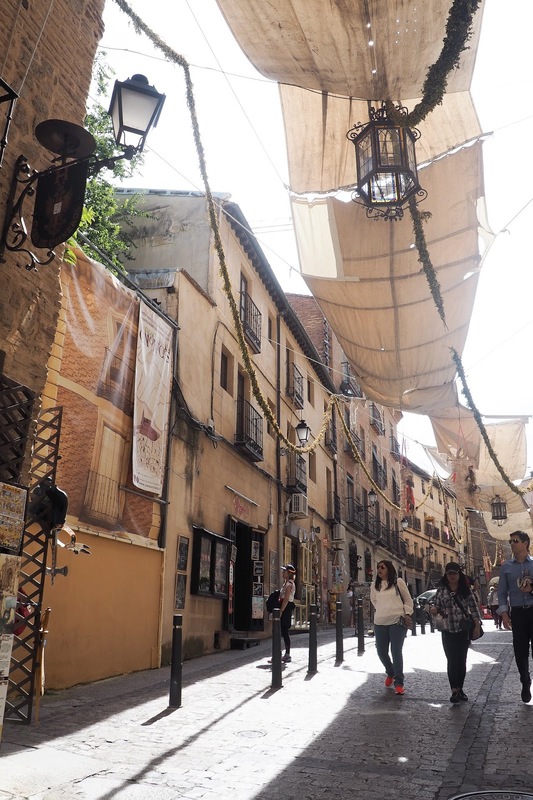 We tried a whole host of things and the stalls seem to go on forever and with sangria on tap, you could spend a long time here trying everything. Prices range from €2 right up to €10 for plates so there's something for every budget; we shared little plates of things so we could try more which seemed to be the best idea. They have endless bars and drinks, including an Aperol Spritz stand which Jess got very excited about! Finally, you've got the desserts. Make sure you go to MAD WAFFLE for the cutest, biggest and tastiest waffles you'll ever see. I got a banana and caramel one with homemade banana ice cream, toffee sauce and chocolate crispy balls and I don't think I've ever had anything like it before so although they are a little bit on the pricey side, they're 100% worth it, especially considering they make your waffle right there in front of you! 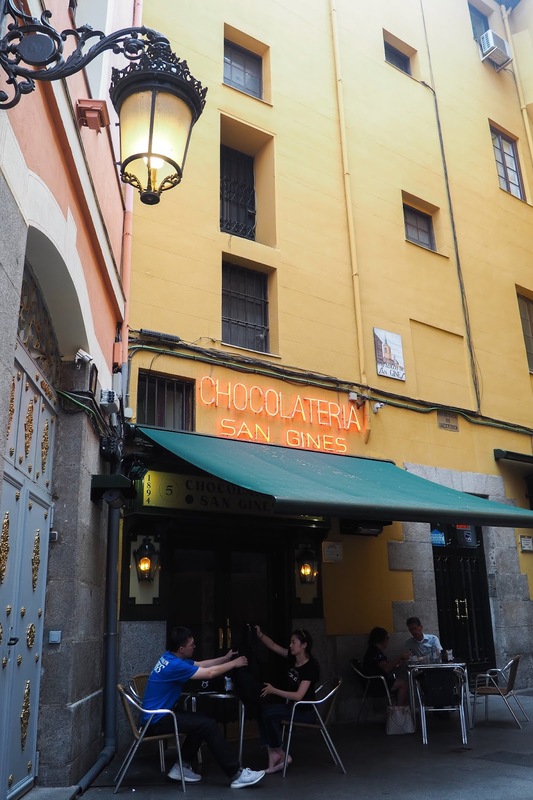 We also ate churros at SAN GINES CHOCOLATERIA which has been serving desserts in Madrid since the late 1800s and it was honestly like taking a step back in time with it's wood panels, green seats and walls lined with photos of all of the famous people who've eaten there. The hot chocolate is like drinking an actual pot of melted chocolate - it's an absolute must! Throughout the week we were in Madrid, we were never short of things to do. 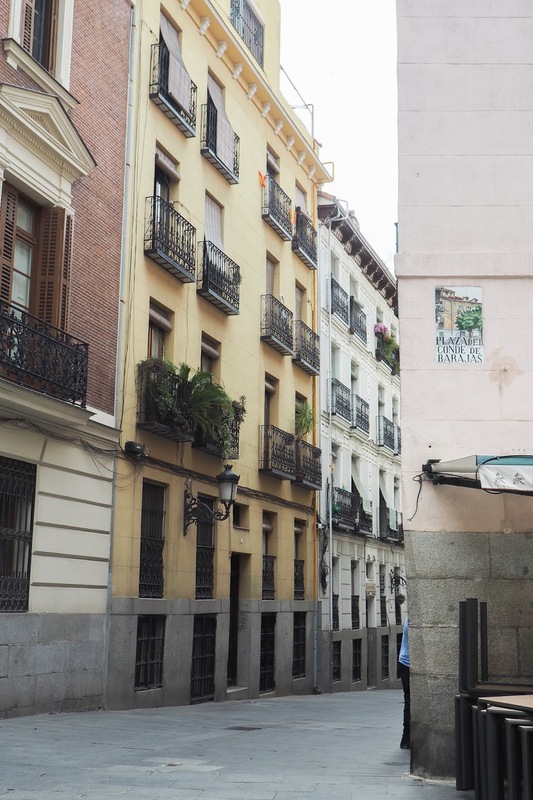 Firstly, there's the art scene that Madrid is famous for and it's not only full of the hugely famous art galleries, but it has so many smaller and independent galleries too. 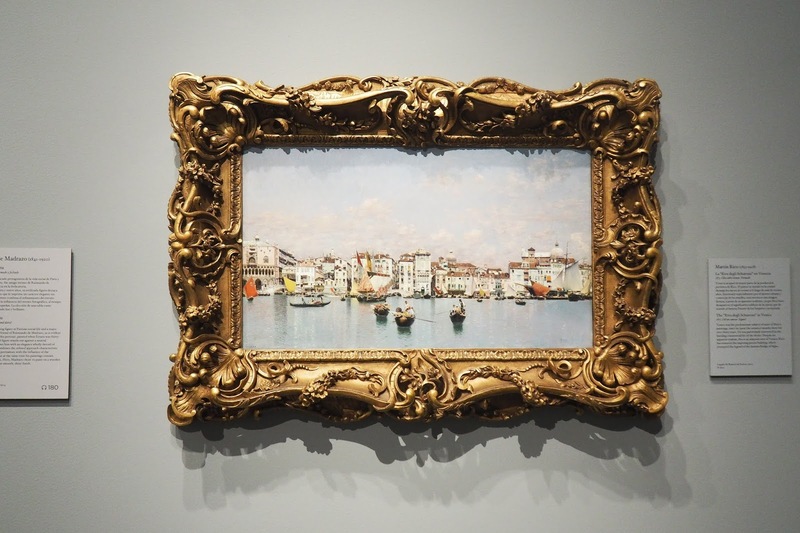 We went to probably the most famed museum in Madrid MUSEO DEL PRADO, a gallery full of historic and iconic pieces of art from Spanish history. I'll admit that a lot of the pieces aren't the style of art that I'm usually into but it was still incredible to see artwork from famous Spanish artists, in particular Goya whose works are all over the museum. 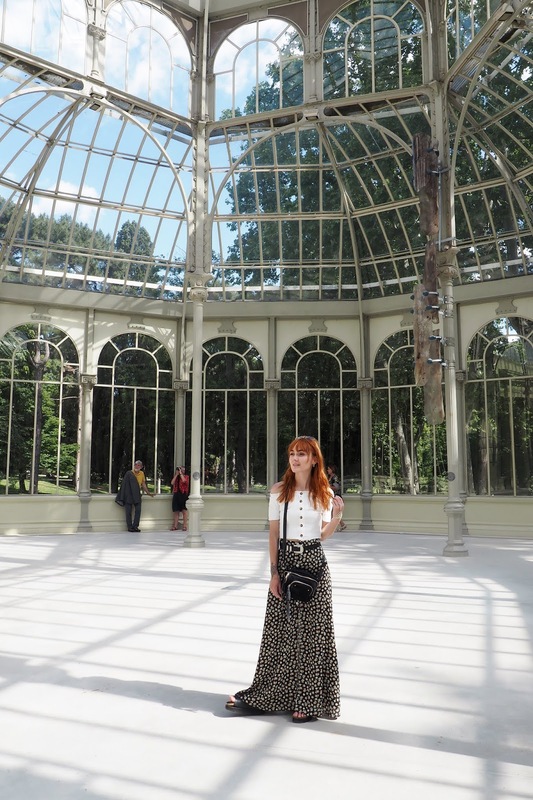 The building itself is also very very beautiful and right opposite is the REAL JARDIN BOTANICO, the botanical gardens of Madrid, another place which I'd highly recommend. It's so peaceful wandering through the flowers and plants with some truly beautiful displays to see. 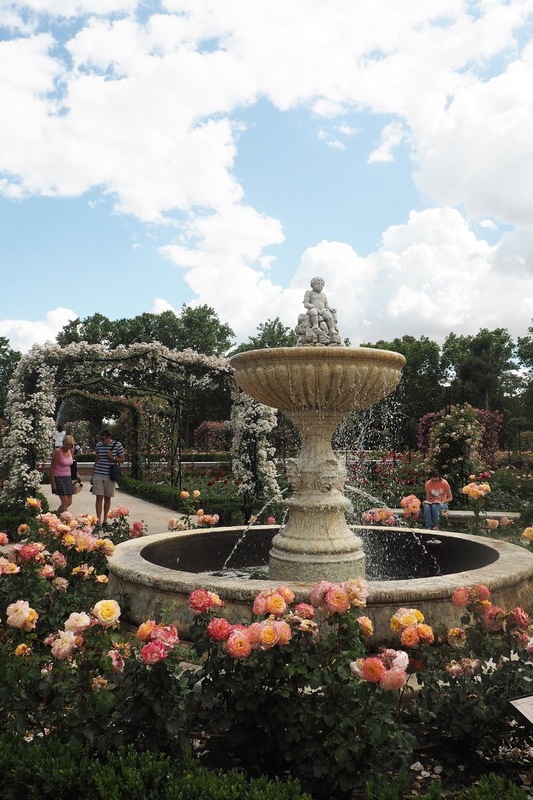 There's a whole section full of beautiful rose bushes and fountains and you honestly forget you're in the middle of a bustling and busy city with plenty of photo opportunities if you're into your photography. 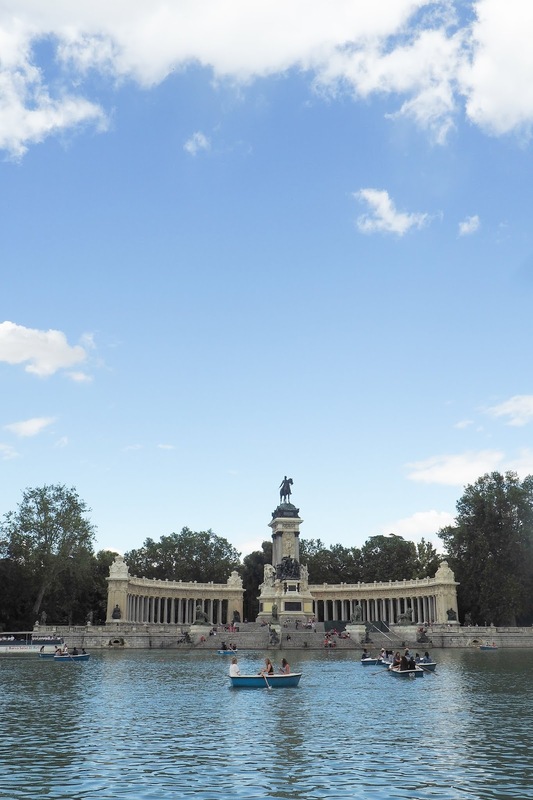 Speaking of parks, there's also the BUEN RETIRO PARK, one of Madrid's largest parks. 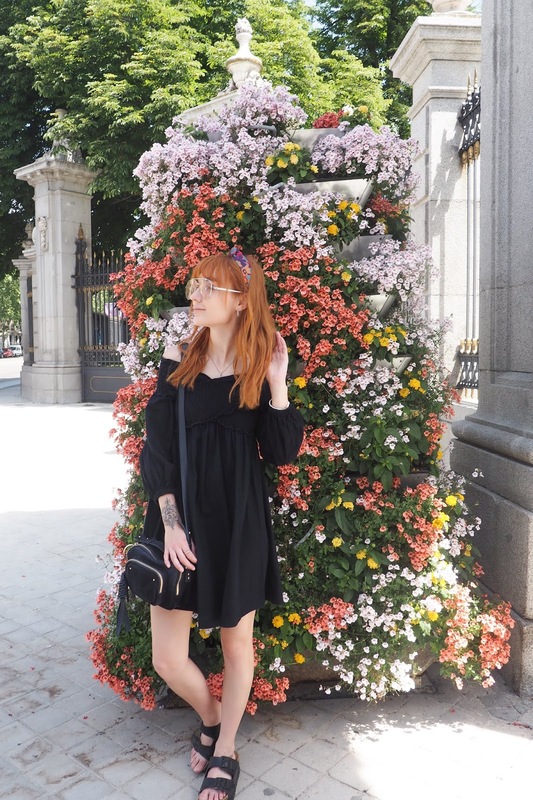 Again, it's easy to forget you're in the middle of the Spanish capital with the sound of the birds, the green trees and the gorgeous flowers surrounding you and it's a truly beautiful place to spend the afternoon. There's a lake in the park which is definitely worth seeking out; we rented a little boat and rowed around the lake in the sun which was beautifully serene. Actually, imagine me rowing in 30 degree heat, with sweat dripping down my nose while Jess sits back and relaxes after we discover she can't row the right way. Also make sure you see the Crystal Palace, a simple but beautiful glass building in the park that is definitely worth taking the time out to see. 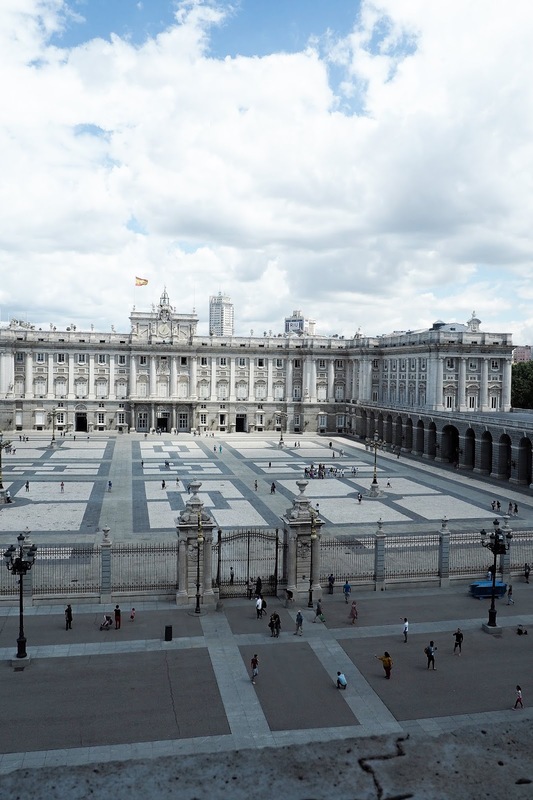 THE ROYAL PALACE OF MADRID is worth visiting too. The building itself is truly beautiful and inside you can explore the ridiculously lavish and over the top rooms, some of them which have tapestry from top to bottom, huge chandeliers and ornaments that you can't even imagine how much they could be worth. 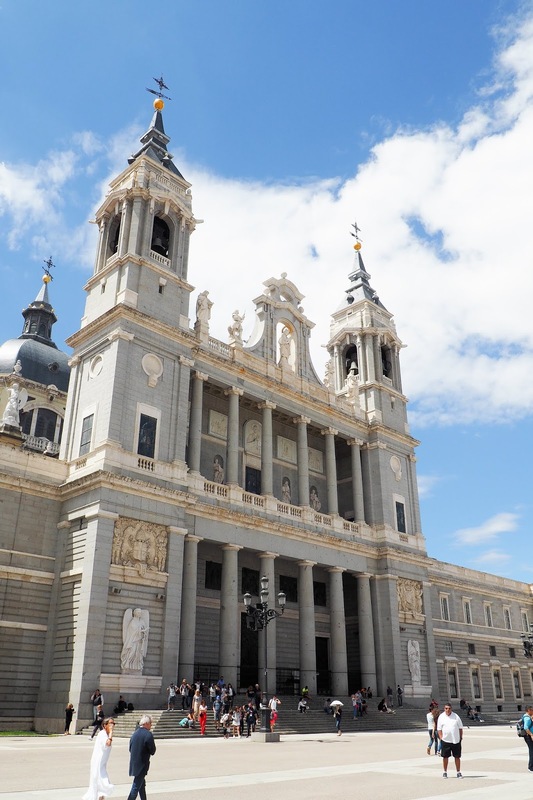 Right next to the palace is ALMUDENA CATHEDRAL which was probably one of my favourite buildings we visited, mainly because when you climbed it, you got a gorgeous view of the city and of the palace and any Instagrammer is a fan of city views right? It was gorgeous exploring this area in the sun with buskers playing the violin and tourists eating ice cream - the atmosphere was just amazing. With Madrid being such a busy capital city, there are an infinite number of trains and buses taking you outside the city and allowing you to explore other parts of Spain, even for the day. 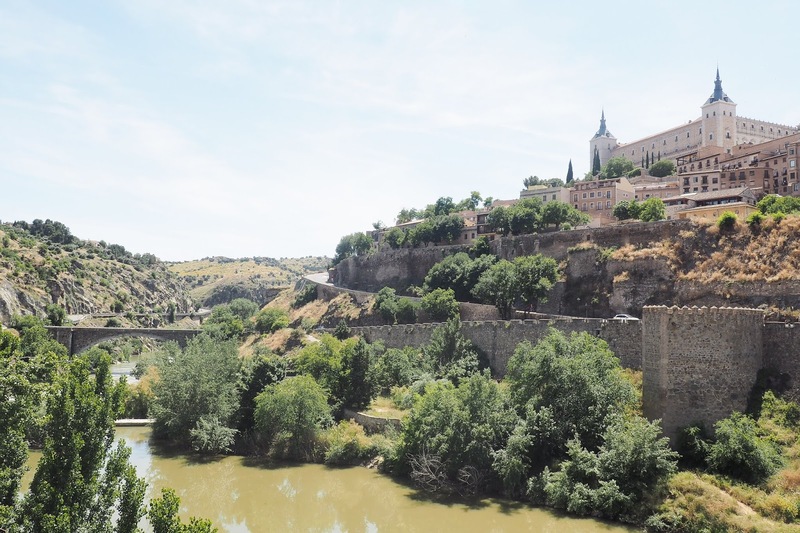 Jess suggested we visit TOLEDO, a city that's just a €10 30 minute train journey from Atocha train station. Looking on Google, I knew Toledo was going to be pretty. I didn't realise just how breathtaking it was going to be. It was like something out of a fairytale with it being situated at the top of a hill, surrounded by scenic views, green landscapes and it's beautiful architecture. You can climb up stairs to get to the city, which I do not recommend unless you are (a) very fit (b) very very fit (c) very very very fit. If you're like little old me who wants to die at the mere sound of the word "gym", take the lift or you will, like me, question your entire existence halfway to the top. 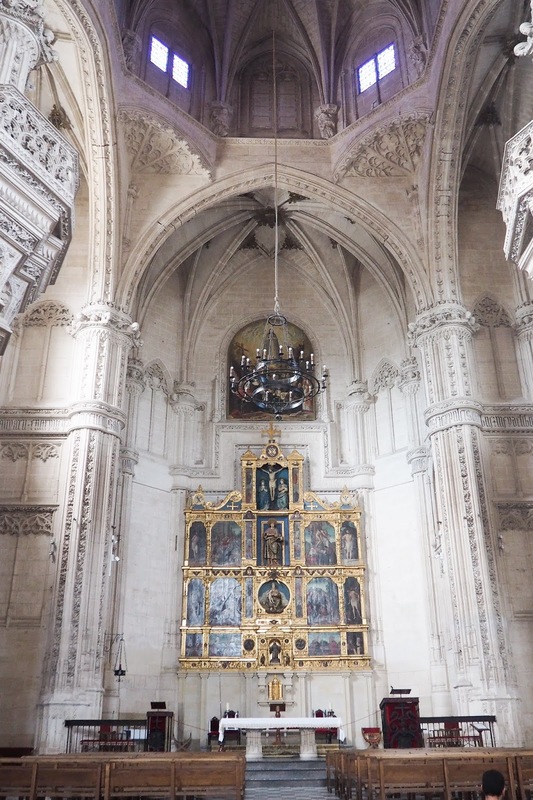 Inside the city, it's a different world to Madrid with it's quiet streets, Gothic architecture and religious buildings littered all over the city, including beautiful cathedrals, mosques and synagogues. 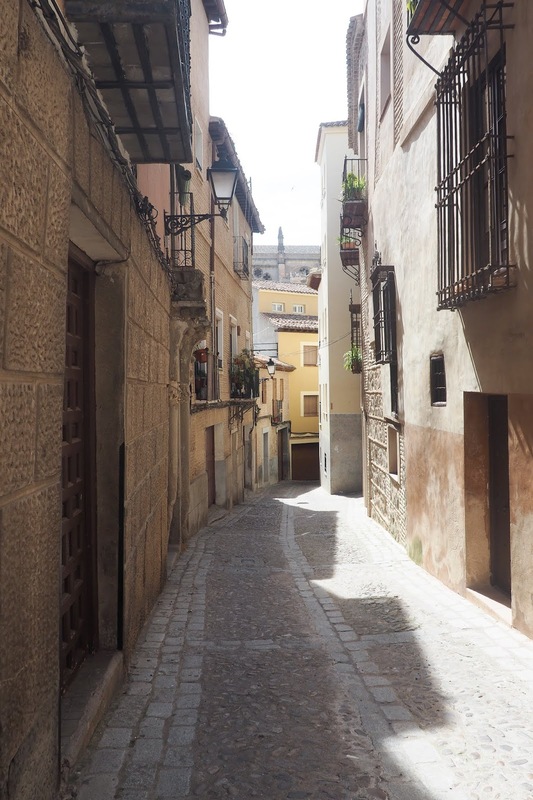 It's very easy to get lost in Toledo's winding streets but that's not exactly a bad thing as it is definitely one of those places that you want to get lost in, wandering around amongst tourists and locals alike. It reminded me of a smaller and quieter version of Dubrovnik, one of my favourite places I've ever been, which may be why I loved it so much. 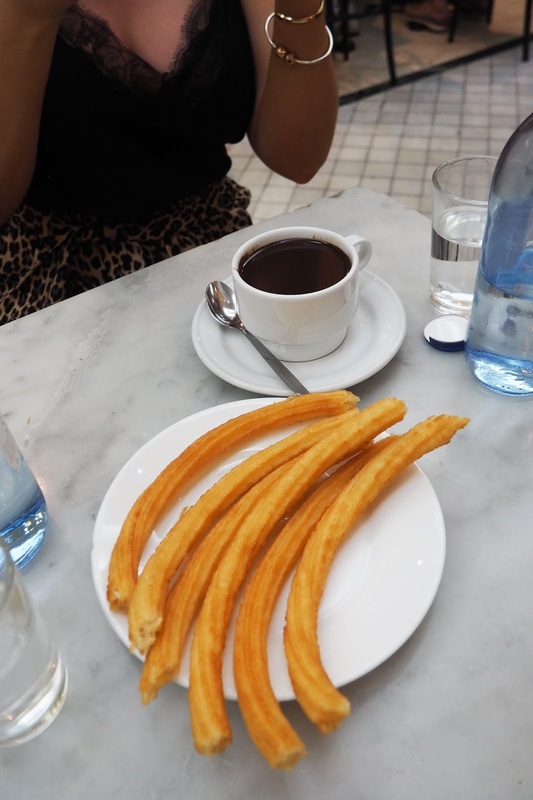 So this is why I loved Madrid so much - will it be going on your travel bucket list?